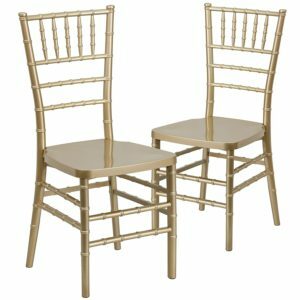 The following article focuses on the best cheap dining room chairs that are available under 100$. Having been made out of durable polycarbonate material and using the single mold injection method these chairs are incredibly sturdy. (even through they look incredibly delicate) They arrive fully assembled and can be stacked to a height of 5 chairs which means they are perfect for both indoor and outdoor use. These chairs are all about style and they look great for only a fraction of the price of similar chairs from high end designers. However they may be uncomfortable to sit on for prolonged periods or if you are wearing particularly slippery material. Highly pleasing on the eye, these chairs are perfect for completing the look of your dining room. If you are looking for something that is incredibly comfortable then you might want to consider buying a cushion. Incredibly sturdy and can hold weight up to 1000lbs! 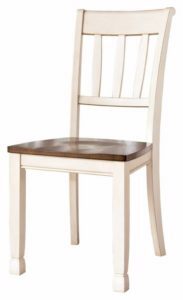 These kitchen chairs are incredibly cheap and are made to an exceptionally high standard. Although it is easy to see they are made out of plastic this doesn’t detract from the visual appeal from a distance. You would be hard pressed to find a dining chair out there that can hold a higher weight. This is a result of the technique used to make them. Made out of K-Resin and using a frame that doesn’t require any screws means the chairs are very sturdy which makes them perfect for large functions. The biggest downside to these chairs is that the seat is a little low however this is easy to rectify with a cushion. Comfortable, lightweight and amazingly strong, these chairs are great if you’re looking for durability. These chairs aren’t the best on the market but they’re far from the worst. The very cheap quality is very well reflected in the price and the chances of them lasting the test of time are relatively low. However being made out of solid wood gives them a great appearance and means they are relatively sturdy. The chairs themselves don’t always sit evenly on the floor and uneven legs is a little too common for it to be excusable. They’re not the tallest chairs in the world and although they will do the job, that is about all they will do. They are dining chairs and cheap ones at that but they are slightly too low to the ground to be recommended. Without a doubt this is one of the most stylish chairs on this list but the pros of this dining chair don’t stop at looks. Incredibly comfortable with a good amount of cushioning on the seat and back as well as allowing a comfortable sitting height, this chair looks as good as it feels. Although it is such a stylish chair that comes in at a fraction of the prices of similar chairs, it still manages to be great quality. Simple to assemble, the legs are the only weakness with this chair. Although they are easy to assemble they are more prone to breaking than the rest of the chair and this can be somewhat off putting. The other thing that is sometimes an issue is it getting damaged in transit however it is often very easy to rectify with a prod in the right place. Look great – The legs that are metal look like wood! Coming in a pack of 4 these chairs are simply excellent value for money. They are well made and very sturdy and have good quality materials used throughout. Although you have to put it together it is a 5 minute job with little to no complications. The plastic ends on the end of the legs are an excellent touch that help eliminate scratching and noisy movement. The one thing that is really missing is a little more cushioning. Especially around the sides of the seat, if you sit sideways on the chair then you can feel the edges rubbing in quite clearly. 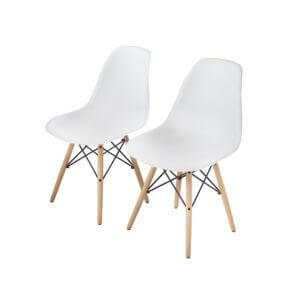 Having said that these are amazing chairs that are not only comfortable and practical but also come at a decent price. The metal legs being disguised as wood is just the icing on the cake. Although these chairs look great they have very little else going for them. They are easy to put together and the materials used are high quality. However the overall finish is very poor meaning they are not the best quality for the price they come at. According to customer reviews a lot of the chairs came with uneven legs which makes them prone to rocking. (and completely unusable for children) As well as this the screws holding the legs in place come loose far too easily. Unfortunately there has been no care in the finish of this product and the result is a chair that is uneven, uncomfortable and may even damage your flooring. 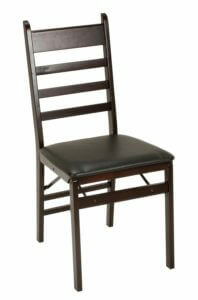 If you’re looking to buy a top end dining chair then your money would be better spent elsewhere. Folding chairs aren’t famed for being comfortable, stylish or well built but these chairs are here to prove a point. 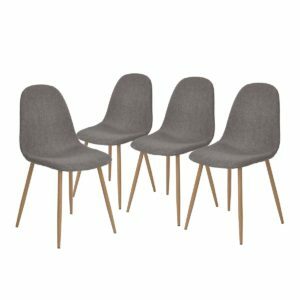 Fitting in with any dining room and being extremely comfortable to sit on, these chairs are a pleasant surprise. 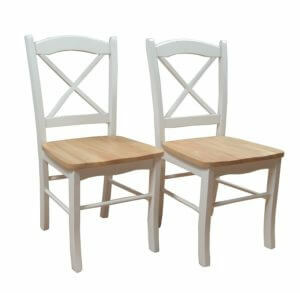 Made from solid wood and with good craftsmanship these chairs are wonderfully sturdy. Although they look great and do the job well, they’re far from perfect and there are many things that other folding chairs do much better. As folding chairs you would hope that they save a lot of space however these are fairly bulky compared to others. Due to this bulkiness they are difficult to move. Along with this the chairs don’t hold their shape when you push away from the table and you can feel them pulling to fold as they move. Having said all of this they are very reasonable chairs, especially for the price they come at. Undoubtedly they will look great in any kitchen. Although these chairs are very reasonably priced they are not good enough quality to be worth the money spent on them. They are very good looking chairs and fit in perfectly with the fashionable shabby chic look that is so popular at the moment. They are quite small so fit into small homes perfectly yet this is where the good points end. As many chairs arrive damaged and self assembly isn’t easy, the chairs themselves don’t instil a sense of trust in users. Missing drill holes make assembly very difficult and the result is very wobbly chairs that aren’t as sturdy as you would expect from solid wood chairs. 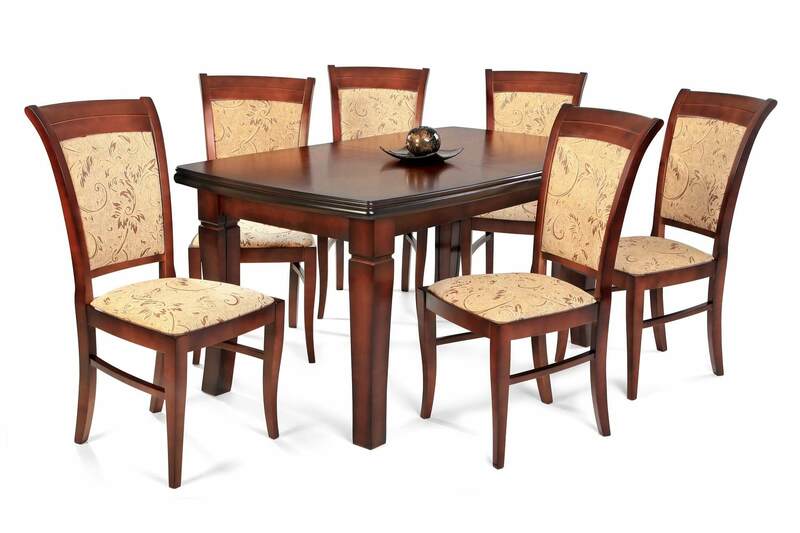 These chairs are sleek and stylish and will bring the look of any dining room up to date. Although they aren’t as sturdy as other chairs they are perfect for kids as they are not only comfortable to sit on but are exceptionally easy to clean. The legs come separate from the seat of the chair however assembly takes only a few minutes. They will last you a long time provided they are treated with care and respect. The quality is excellent however there are a few little niggles that imply the quality isn’t as high as you might expect from a high end dining room chair. According to past buyers the black caps that cover the screws pop off sometimes and some chairs arrive with marks on them. Overall, an excellent buy at a really reasonable price. The dining room has been a place of sharing meals as a family, and through the years it has transformed into a multipurpose room. The dining room chair is one of the most important parts of this room. It plays a crucial role in enhancing the overall aesthetics of the room. In that vein, it should be comfortable, stylish and pocket-friendly. This is a biggie. Dining room chairs come in all shapes and sizes so there is always something that will fit in your dining room but it’s easier to know what size will work best before you start looking. The joy of the dining room is the simple elegance that comes in the area so buying chairs that are too big will leave it feeling more cluttered. This won’t be beneficial to making the room look good – no matter how attractive the chairs are. Think about the size of your dining room as well as the size of your table and this will give you a good idea of what size you’ll need. A space of 48 inches from table to wall (or other furniture if there is some in the room) is an ideal amount of space. However it is possible for people to sit comfortably and move past when there is only 36 inches space left. This might not be perfect for you but it gives you a good idea of what sizes you should be looking at. Sitting properly to eat is incredibly important and comfortable seats will help this. The ergonomics of a dining room chair are possible one of the most important chairs to get right and so finding something that is easy to sit on is essential. To decide this you need to make a few quick decisions. You need to decide whether you want a wooden chair or one with cushioning, one with or without arms, a high back or low back, straight back or slightly reclining. Whatever suits you best is what will work for you but this is one of the most important decisions you will make when deciding which chair you want so sit on a lot of seats and make sure you’re happy with your choice. If you want your dining room to look great then you need to make sure you’re buying chairs that are aesthetically pleasing. Of course just because they look good on their own doesn’t mean they will look good in the dining room so you need to try and find chairs that match their surroundings. Dining room chairs now come in a massive variety of materials form wood and metal to plastic and fabric. Whether you opt for single material chairs of one that has a few different materials used, there will always be something that matches the style of your dining room. If you are confused about what style you would like then the best bet is to buy something that matches the table and this will make them look like a complete set. If you have a wooden table then either buy chairs that are made from the same color wood or buy something completely different such as a fabric chair. This will look elegant and stylish with minimal effort on your part. These days you can buy good quality chairs for relatively good prices however you need to be careful when buying based on price alone. Although it is possible to buy good quality chairs for relatively low prices, you can also end up with chairs that aren’t fit for the job. The best bet is to spend time and don’t forget to look for reviews as these will let you know the worst of the problems associated with different chairs. 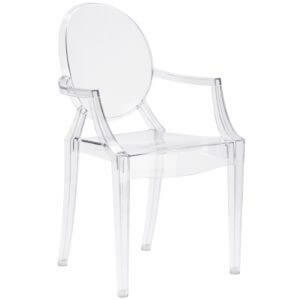 In order for you to get great prices but excellent quality it is always good to consider the plastic and resin chairs as these are usually the most stable. Almost all of the chairs presented in this guide are available in sets for 2 or 4. After all, who wants to sit alone at the dining table? Sometimes it comes a lot cheaper to buy a set of 4 than just a buying a single one. Make sure to check the offers carefully. A lot of the providers on Amazon will also have second hand sets that are very affordable. Many times such sets were exhibited at a fairies and are therefore a lot cheaper than the new ones. This way you may purchase a great set of chairs without compromising as far as money goes. If you are a family with small children then it is a good idea to consider what materials you want to chose for your dining room chairs. Fabric chairs or those with fabric seats are a lot more difficult to clean than other styles and this can be a deal breaker for those with young children. As much as we love them, kids are messy and for many parents ease of cleaning is a vital thing to consider when looking at furniture. 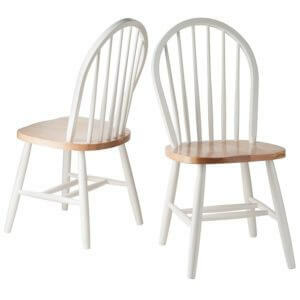 Wooden chairs without a padded seat or plastic chairs are easier to clean than fabric chairs. It isn’t just children that you need to consider when looking at buying dining room chairs. The height of the chair is an important thing to remember and for elderly people it is sometimes easier to get up from a chair that has a taller seat than those with a bucket style seat. For this reason it is always good to remember who will be using the seats on a regular basis and find out what they find most comfortable. Whenever you are buying a chair then the best thing to do is to shop around. There are a few places that offer excellent prices such as Amazon, ebay and walmart are all great places to end your search as more often than not they will offer designer style chairs at a fraction of the price that you would find from other places. This post is a great place to start looking for your dream dining room chairs and will give you an excellent idea of not only what to look out for but what you are looking for in your own dining room! Buying dining rooms chairs isn’t a simple matter of finding the cheapest option. There are lots of things to take into consideration when you’re looking at dining room chairs but just because you want quality doesn’t always mean you should spend a stupid amount of money to reach it. Within our review the GreenForest chair is one of our favorites because it is comfortable, stylish and exceptionally good value for money. While these factors make it our favorite chair on the list each chair has its own pros and cons and it is personal opinion on what matters most for you. 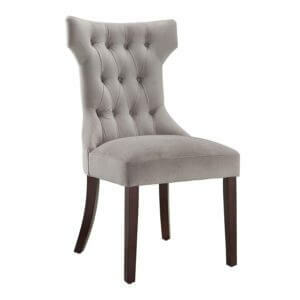 The best thing that we can advise on buying dining rooms chairs is to make sure you do your research beforehand. There are a lot of factors that will influence your choices on different chairs but on of the most important things to take into consideration is what other people have said. Reviews will tell you about the pros and cons of each chair and this is often invaluable for finding a chair that is perfect for you. We hope you could benefit from this information. Good luck on the search of not only finding the best dining room chair but also one at an affordable price. Don’t feel like spending hundreds of dollars on a new dining chair?